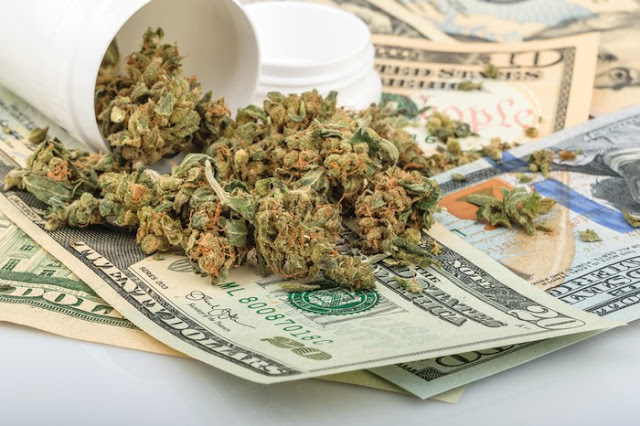 MSV: Weed sales in the Mile Square City and uptown Hoboken? Weed sales in the Mile Square City and uptown Hoboken? The following is a guest submission by Hoboken resident Sue Pregibon. The letter below has previously been submitted to Hoboken City Council members. Is City Hall going to approve selling marijuana citywide and in uptown Hoboken? As the State continues to revise and rethink the components of the marijuana bill, there is no doubt that they will pass some form of it. Whatever the law ends up to be, legalized and/or decriminalized, every municipality and person in the State must abide by it. Of course, there will be those that are against it and those for it, but this is not the discussion that we should be having here in Hoboken. The discussion MUST be about whether we as residents, taxpayers and businesses want to allow the Mayor to proceed in opening marijuana dispensaries here in Hoboken. These are two totally independent issues. If the State passes the law, it has no bearing on the municipalities right to sell or not to sell marijuana. This has to be made clear. Brian Stack of Union City" and his City Council has already made clear that this is not going to happen in his backyard. Only 4 cities have declared willingness to be guinea pigs in this experiment: Newark, Asbury Park, Atlantic City and Jersey City. These cities hold in common: higher crime rates, high unemployment and a much different level of socioeconomic disparity. This is not Hoboken. Last week the residents of Hoboken overwhelmingly voted to bring back runoff elections. The referendum on the ballot gave everyone, not just the Mayor or the City Council, the opportunity to vote for what they deem fair and right for Hoboken. In the past, decisions as important as this, have gone through rigorous vetting by those representing major stakeholders. Well advertised public meetings that allowed community groups such as the Quality of Life Coalition, Hoboken Clergy Coalition, The Chamber of Commerce, Board of Education, Hoboken Family Alliance, Stevens Institute, Board of Realtors, Hoboken Shelter, and every resident of Hoboken to be fully informed and their opinion is taken into account. There were numerous public and stakeholder meetings during the re-examination of the Master Plan. Input was collected and much of it was implemented into the final version. There were numerous changes in zoning throughout the city, but never was it mentioned that this administration had any intention to rezone our commercial and residential areas to include marijuana-related businesses. The prudent action would be to wait until the next re-examination of the Master Plan or place this question as a referendum on the ballot for the next election. Even more disturbing, is the fact that the majority of our population is unaware that this is happening. The Governor's intent is in the news, but the Mayor's initiative has been behind closed doors. Now we have a supposedly public meeting, where no announcements or invitations or agendas have been extended. It will be held the week of Thanksgiving when everyone is looking forward to celebrating and giving thanks for our blessings. I think that this City Council can do better. Your constituents will always have the last word, whether it be praise for your actions now, or at the polls next November.